The most up-to-date real estate news from Calgary, Alberta and Canada can be only be found on the best place for housing market updates: CalgaryRealEstate.ca! Home prices will probably drop by 5 per cent in the first half of 2012 as a result of a weakening economy, said economists at Bank of America. The lowest fixed mortgage rate for one year has slightly increased. Other rates remained stable. With three bedrooms & two bathrooms, the $237,000 price tag for this 1974 house makes it an interesting target for real estate bargain hunters. Increasing Income Inequality: Side-Effect of Fight against Crises? Increasing income inequality isn’t unique for Canada, as 71 per cent of the world’s population live in countries where this trend is common. Continued low interest rates will offset weakening global economic growth in 2012 and will help Canada’s economy to avoid recession. Robert Avery and Kenneth Brevoort investigated the role of Community Reinvestment Act and Government-Sponsored Enterprise in subprime crisis. How serious is the debt situation in Canada? Do national central bank and economists really have reason to be worried? Average price for Calgary homes remained unchanged and Calgary condos dropped compared to the previous month and November 2010. Calgary was called a “hot growth mecca” by a PwC real estate report and it has seen strong expansion in recent years. Is it just a beginning? This is an ideal property for potential first-time buyers who are tired of renting, or for small investors. The idea that the world is controlled by a small group of powerful corporations isn’t new. Canada, as a net exporter of energy and the world’s sixth largest energy producer, plays an important role in the global market. Experts believe the number of foreclosures has increased as a result of worsening economic performance after the crisis. Although mining has been conducted in Canada since the 17th century, the remarkably rapid development of the industry started at the end of WWI. Small apartment buildings are probably the most suitable investment properties for small-scale investors or rookies. PwC and the Urban Land Institute surveyed over 950 industry experts from North America providing an outlook on real estate trends. Canada’s forests play an important role in its economy and its international image, amounting to 1.8 per cent of the GDP in 2009. In October 2011, Calgary Realtors reported 1,357 sales, up 14% from October ’10. Y-to-date sales, at 16,191, were up 8% compared to the first ten months of 2010. This 1954 bungalow offers a great opportunity to establish your own dream house while living close to the city core. Chinese investments from 2005 to 2010 in Canada amounted to $10,800 million, according to Heritage’s research. Searching for Housing Bubble Causes: When Did It Really Begin? Professors of Wharton School generated important findings that aren’t in perfect accordance with current assumptions about housing boom causes. Why are European leaders so fond of saving indebted countries at any cost, and how does it influence ordinary people? If you would like to boast the most expensive house in the whole of Alberta, you need to head north from Calgary — to Edmonton. Grow ops often represent a great investment opportunity for investors, who are not lacking some trade skills. Foreclosed homes are often a good target for property investors, and 131 Ranchero Place in Ranchlands is no exception. Although Canada can be proud of its healthy banking system and development, it is still a country with close ties to the international markets. David Tsegai And CalgaryRealEstate.ca Are Now On OurFaves.ca! Canada received great ratings in various economic studies, including the last Forbes list of the best countries for business. Talking about Greece means talking about the first country to bail out in the Eurozone and the one with the highest government debt in Europe. The property is aggressively priced at $329,900, and even with expected reconstruction costs reaching $50,000, you are below the average price for this kind of home. The property bubble boomed and the Irish banks found themselves in deep crisis. Ireland’s progress was as overwhelming as its fall. Modern money has become an inseparable part of our world, but the way we create and destroy it nowadays is much different than in the past. It is predicted that Portugal won’t recover until 2012 due to its high deficit and several ineffective and unpopular measures. Searching for three bedrooms, two bathrooms, and 1,830 square feet of space for less than $370,000? Look no further! Canada fell from tenth to twelfth place in the list of most competitive economies in the world, according to the Global Competitiveness Report. Report released by StatCan showed that the median market income fell in 2009, resulting in the first significant drop since the early 1990s. Italian real estate stock is still weak, but it doesn’t suffer as much as the other sectors of Italian economy touched by the tough measures. According to RBC’s latest report, Alberta is the most affordable province in Canada when it comes to real estate. Canadians are the largest non-American buyers of US real estate today. Low prices make US property very attractive. Its floor space of more than 1800 square feet offers a total of five bedrooms with hardwood floors and a huge bonus room in the upper level. Calgary’s latest housing statistics aren’t much cause for joy. Is it only a short-term phenomenon caused by economic turmoil in the world? What is the secret behind Canada’s success? And what could threaten Canada’s economy in the future? In the September 2011 edition, our David Tsegai was asked to provide an expert’s overview of the current state of the housing market in Calgary. While it just looks ordinary at first sight, the experienced eye of a property investor would see it for what is is: a hidden gem. Americans are more careful, and they don’t rush into buying their own house. Now, renting is cheaper and gives them time to wait. For the third consecutive months, the year over year monthly sales has increased by double digits. Reverse mortgage are different than traditional mortgages in several ways, and as everything new and different, they arouse suspicion. Would you like to fulfill your dream about the ultimate home? No problem; the most expensive home in Calgary is for sale and can be yours. The financial crisis in Europe has put the Euro in serious danger. Greece, Spain, and Italy are now the most threatened countries. Almost 50 per cent of Canada’s Baby Boomers are still paying their mortgage, says a poll from the Canadian Imperial Bank of Commerce. Europe has to face problems as serious as the US and phrase “return of the recession” is more and more frequently heard. Why is the decision of one firm, a rating agency, so important? Do we need such agencies? And how do they determine their ratings? Almost no one predicted the US recession before it came, but now, this won’t happen again. Specialists predict every (im)possible disaster. 10 Somerset Court is located in a quiet cul-de-sac, has a yard backing onto the greenbelt and it takes 2 minute walk to reach a school and water park. Although analysts are skeptical about Canada’s housing market, most agree that Calgary’s prospects aren’t unfavourable. This detached single family in Marlborough Drive has four bedroom, living room and den, and spacious kitchen with dining room. How Long Can the Condo Boom Last? The condominium boom is a part of the Canadian real estate sector that has supported the recovery of the national economy. 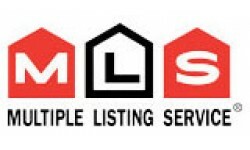 The single family market recorded 1,153 sales in the month of July 2011. This is an increase of 26 per cent when compared to July 2010. US Debt – What? Why? And What If…? Despite economist’s warnings about far-reaching consequences, US legislators still haven’t reached an agreement about how to proceed. Has Canada really prevented the negative effects of its housing bubble, or has the day of reckoning only been postponed? This three bedroom property is the best buy on Calgary MLS, at the moment. Great handyman special that has no condo fees and has huge upside potential. There is the option of so-called extended amortization with which you can spread your mortgage out across as many as 40 years in Canada. 1,174,697 visitors, including Prince William and his new bride, Kate, left the Stampede believing that it deserves its reputation. Well maintained quality Side by Side duplex in Winston Heights/Mountview – which is probably the lowest priced 4 suites duplex in North Calgary. I am introducing a new neighbourhood in the Calgary Neighbourhoods Guide. Western style Hanson Ranch Neighbourhood offers mainly single-family detached homes. What does the term really mean? What could happen when it really bursts? And why don’t we prevent it? Let’s go over some housing bubble basics. Consumer prices increase was well above all 24 forecasts in a Bloomberg survey of economists and far above the Bank of Canada’s target. Since the World Wide Web was created, the Internet has been changing our lives and the whole of society. What can the Internet offer homebuyers? Great investment with little capital needed. Considering the asking price, it has more than solid 8.54% Rate of Return for initial investment! Which province has the strongest economy? Which of them has the highest prices? And what about their housing markets? You won’t wow anybody with a house that merely functions. Instead, the house or condo that you’re selling has to have the looks, too! Calgary’s housing market continues at a healthy and balanced pace. The number of single family homes and condos sold in June 2011 were both up 30%. The Calgary Stampede is Here! “The Greatest Outdoor Show on Earth” traditionally attracts more than a million guests, but this year two of them will be special. A financial system can’t work without banks. We use bank services every day, and probably we can’t imagine life without them. How are we doing? We would like to hear from you, dear client, and learn what you think about our real estate practice. Alberta is a dynamic province with wonderful potential. The city of Calgary is booming and it is fulfilling its role as an economic hub. We pay taxes everyday — when we’re eating in restaurants, when we’re shopping, and even when we’re travelling. Will the Housing Market Drive the US Economy? After Harvard University released its State of the Nation’s Housing Report, economists sparked hot discussions about the future of the US economy. Our weekly investment tip property lies in one of the most beautiful areas of Calgary — a beautiful large lot backing right onto the Bow River. What are its advantages? Which countries import to Canada the most? And what are the Canadian import regulations? About 300,000 people cross the shared border daily, and about $1.5 billion is traded in goods daily. What are the differences between them? 660 Malvern Drive NE in Marlborough Park is a great starter property for its price. The 1977 single detached raised bungalow offers 1200 sq.ft. US Housing Market Recovery – No Miracles! Harvard University released its annual State of the Nation’s Housing Report showing that the housing market hasn’t played its role. Exportation is one of the most important macroeconomic factors in Canada. In 2009, exportation accounted for approximately 30% of Canada’s GDP. This part of our Investment Tip series aims toward investors with higher available capital. We introduce to you a luxury West Coast estate. The most popular indicators of labour market conditions are rates measuring unemployment and employment; used in every type of economic media. May is over and we bring an overview of the most important events that happened over the last thirty one days. This house on 17 Sherwood View NW is a bit special. It requires a skilled handyman or an investor, since it’s a former marijuana grow-op. An interest rate is the rate that is charged or paid for the use of money. Interest rates are usually expressed as a percentage of the principal. Healthy Labour Market? Be Patient! At the beginning of this month, Statistics Canada announced an unexpected unemployment decline. Economists’ comments were optimistic. Fires around Slave Lake threaten not only Alberta’s environment but also its economy. Oil companies cut their operations Monday, and on Tuesday. Sales activity decreased by 14.7% from April 2010, and the national average home price was $372,544 in April 2011 — a year-to-year growth of 8%. RBC expects Alberta’s GDP to grow by 3.8% in 2012, following Saskatchewan’s growth of 4.3% after Statistics Canada revised its estimates. According to the forecast released by Canadian Real Estate Association (CREB), Alberta’s MLS sales will grow the most in the country next year. Cardel Lifestyles Panorama West Condominiums, one of the hottest picks in its category in the whole of Calgary. GasBuddy.com predicted that gas prices will reach $1.40 per litre this summer. How will it affect our living? Alberta’s employment statistics indicate a weakening of the labour market, but in Calgary the unemployment rate shows favourable numbers. Housing starts in Canada have declined in April 2011. The seasonally adjusted annual rate of housing starts calculated by CMHC was 179,000 units. Canada’s gain of 58,000 new jobs in April surpassed all expectations. The unemployment rate dropped by 0.1% to 7.6%. Early Planning Agreements: Read Them Well! The Alberta government advises potential condo buyers to read early planning agreements thoroughly before signing and handing over non-refundable deposits. Industrial products and the raw materials used to manufacture these products grew more than expected in March. According to a BMO Tax Season Study, the majority of Canadians are looking for a more simplified tax system that reduces capital gains. According to a report released by RealNet Canada Inc., Calgary commercial real estate investment remains down from its last peak and shows only modest growth. Calgary has benefitted from international energy investment from its early days. Today, the energy sector plays the most important role in Calgary. The first three months of 2011 have been exceptionally strong with record high sales, but a balancing period followed, with lower level of sales. Calgary office occupancy was high; all ‘AA’ through ‘C’ class office space categories showed positive momentum in the first quarter of 2011. Canadian families paid more on taxes than on food, clothing, and shelter combined in 2010, reports a new study released by the Fraser Institute. Get a million-dollar house for under a million! This gorgeous Arcuri built, custom, detached single-family house offers close to 2900 square feet of floor. Let’s look at how Canada’s economy is developing in its main components. The latest data about the Canadian GDP is from January 2011. Strong currency affects exporters, causing losses in competitiveness on international markets. The Canadian dollar hit a 3.5-year high recently. New home prices in Calgary may grow by about $8,000 because of an agreement that would make developers carry more of the cost of building new suburbs. The predecessor of the Canadian dollar was the Canadian pound, equal to 4 US dollars and 92.88 grains gold. According to a report released by the Conference Board of Canada on April 19th, the economy created over 80,000 jobs in the first quarter of this year. This week’s real estate investment tip is trying to grab your attention with its supreme location. It is located in the very popular Panorama Hills. The housing release for March by the Canadian Real Estate Association indicates that the Canadian housing market is transitioning into a more stable state. The Consumer Price Index (CPI) is usually considered a measure of the cost of living. It is one of major economic indicators and a tool to calculate inflation. According to the Canada Mortgage and Housing Corporation (CMHC), the annual rate of Canadian housing starts was 188,800 units in March. Positive momentum in the Calgary industrial real estate market continued into the first quarter of this year following a strong finish in 2010. Housing starts will moderate in all areas of Canada except British Columbia and Alberta, according to the Canada Mortgage and Housing Corporation (CMHC). Our fresh real estate investment tip is suitable for first-time home buyers or for investors with less capital available, the price is $205,900. On March 29, The Economist posted a list of OECD countries by taxes on property as a proportion of GDP. It shows that Canada’s taxes are the second highest. Positive economic predictions are proving to be true. Canada’s manufacturing sector has led the economy toward continued strength. According to a report released by the Calgary Real Estate Board (CREB), Calgary’s home sales, prices, and listings have decreased since last year. GDP (gross domestic product) is usually considered an indicator of a country’s standard of living. Let’s see how the GDP is developing in Canada. Japan’s earthquake and the war in the Middle East have recently overshadowed problems in Europe. Warnings about the European financial problems have come true. This week, our tip fulfills the purpose of the series excellently. 640 34 Ave NE is a great income generating property, just minutes away from downtown Calgary. Mayors, finance ministers, and executives from Canada to Chile met to talk about urban sustainability in the growing towns and cities of the Americas. Calgary took third place in the overall ranking of the Toronto Board of Trade’s third annual Scorecard on Prosperity.Toronto dropped to eighth place. An election campaign won’t be negative for the economy, although the Conservatives are warning that the opposition is putting the economy at risk. The three opposition groups – the Liberals, the Bloc Québécois, and the NDP, joined forces to bring down Harper’s minority conservative government. One In Five Canadians Consider Purchasing Property In The U.S.
A survey conducted by Leger Marketing reveals that Canadians are interested in buying homes south of the border. On March 22th, The Honourable Jim Flaherty, Minister of Finance, launched the next phase of Canada’s Economic Action Plan by tabling a new budget plan. Calgary single family homes are forecast to increase by 4 per cent over the next 12 months. Home prices across Canada are expected to increase by 1 per cent. 7S Eastlakes Centre at 11166 42nd Street SE, Calgary AB is a 5542-square foot warehouse space in EastLake/Calgary Foothills Industrial Park. Air Canada is cutting six of its flights because of soaring fuel prices and half of them are from Calgary. WestJet has raised its fares. Since industrial real estate demand in Calgary is increasing, let’s have a closer look at its development according to the Avison Young survey. Larger longer-term deals, recently-completed space, and an overall increase in demand have been witnessed, says a new report by Avison Young. According to Business Review Canada, energy is the second most prosperous industry in Canada, with a market capitalization of 435.8 billion dollars. The Royal Bank of Canada has changed its residential mortgage special rate offers. The new rates came into effect March 16, 2011. This week’s investment tip concerns a detached single family home in Panorama Hills, a desirable neighbourhood in the north-western part of Calgary. Turmoils in North Africa and high oil prices help Canadian oilsands companies to grow faster. Calgary region building permits took a surprise fall in January as both residential and non-residential activity weakened, according to Statistics Canada. Tourism Calgary lowers 2011 expectations on the number of out-of-town visitors due to climbing gasoline prices and a strong dollar. he recently launched Attainable Home Ownership Program is designed to help people who are struggling to buy a house in the city. Now with an affordable option. This 1800sqft, fully finished, 2-storey home with double attached garage is located in Somerset, a classy neighbourhood in the southwest corner of Calgary. Investment in non-residential real estate contracted by more than 10 per cent in 2010, reports Statistics Canada. Calgary, with 3.7 per cent, is among the top five cities for growth in gross domestic product in 2011 along with Windsor, Oshawa, Regina and Saskatoon. This week, I chose a discreet bungalow at 139 Silver Springs Dr NW. A closer look at the details should increase the heartbeat of each real estate investor. Canada and Australia are leading the “Most Livable Cities” chart composed annually by the Economist Intelligence Unit. According to the Altus Group report on residential housing, Calgary’s condo market started to revive in January 2011. According to the Calgary Regional Housing Market Statistics issued by the Calgary Real Estate Board (CREB), Alberta has a positive housing market outlook. Mayor Naheed Nenshi has recently spoken out in favour of the legalization of secondary suites across all residential neighbourhoods in Calgary.